Sign Language was first introduced in France in the mid-1700s when the first school for deaf children was opened in Paris. The premise of sign language is to use a form of communication made up of signs and phrases made with the hands and fingers to communicate with individuals who are hard of hearing or completely deaf. Many children who are deaf at birth are taught sign language from an early age in the same way that children with full hearing are taught how to speak and read. Sign Language just like the English language is split down into syllables and is used in conjunction with movements of the mouth to help convey what is being said through sign. There are varying types of Sign Language but the most commonly used in the United Kingdom is what is referred to as Sign Supported English (SSE). It is important to note at this point that although Sign Language is a universal language used all over the globe, the methods of sign vary from country to country and continent to continent just as the spoken word does. British Sign Language (BSL) is commonly used in the United Kingdom and under its banner comes Sign Supported English (SSE). Sign Supported English (SSE) is made up of lip patterns and hand gestures which when used together go to make up different words and phrases. It is important when studying Sign Supported English (SSE) that every effort to learn both the lip and hand movements is made because a hand gesture without the lip movement can mean an entirely different word than the one that is perhaps meant. The question would be the same but the way in which the question is asked is different; just as it would be if an individual were translating a question into a foreign spoken language. Although Sign Language is a universally accepted form of communication among deaf people British Sign Language (BSL) is unique to the United Kingdom and only certain phrases and words are the same in other languages – just as with the spoken word. Likewise as we move through the regions of the United Kingdom Sign Language varies to encompass the variety of different dialects and slang terms used. Ireland has its own Sign Language – ISL – Irish Sign Language. As we have already mentioned certain words in Sign are made up of a culmination of mouthed expressions and hand gestures. 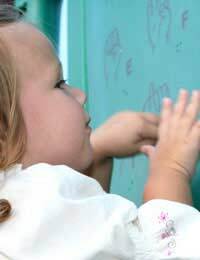 The use of Lip Patterns will help differentiate between various words whilst finger spelling is used when there is not a specific sign for a word and the word has to be spelled out. The use of finger spelling normally applies to the names of individuals, place names or certain uncharacteristic words of the English language. Can Anyone Use Sign Language? Anyone who spends time in the company of deaf people or who wishes to volunteer to work with deaf people will need to learn how to use Sign Language fluently. But certainly anyone who wishes to learn the basics can do so. The Language – as we have already mentioned – is made up of lip patterns and hand gestures so overcoming the initial difficulty of learning how to combine the two is a must. There are many organisations – including the Royal National Institute for the Deaf – that run courses in Sign Language and many Local Education Authorities (LEAs) now offer Sign Language classes on a part-time basis, normally at night class. If you wish to know more you should contact your Local Education Authority (LEA), your local college, or local organisaton that deals with providing help and support for the deaf. I would like to volunteer with underpriviledge children i live in the east herts area anybody have any idea's where i start. I have enjoyed browsing through this site and found it very interesting.